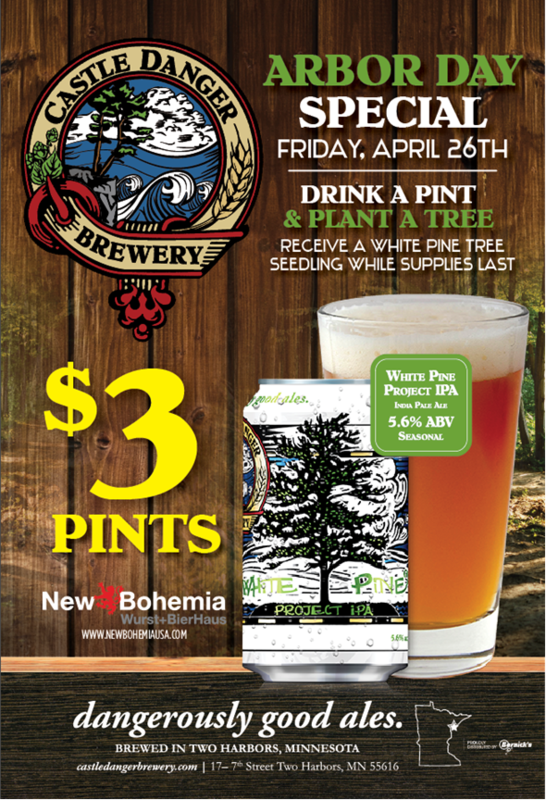 Join us at any of the New Bohemia locations on Friday, April 26th for a White Pine Project IPA tap feature. A select number of white pine seedlings will make their way to each New Boh location for these special events. Buy a pint and plant a tree! White Pine Project IPA is on special for $3 all day long.